When I used to work in Bonifacio Global City, I remember always seeing the sign of Mandara Spa in McKinley Park Residences along 31st Street. Unfortunately, I never really had the time to drop by and try their services—though I was always intrigued with what they had to offer. 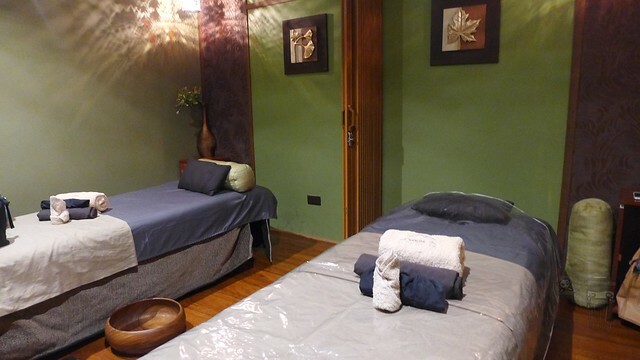 At least until last week, I can finally say I’ve tried their signature Body Scrub, Wrap and Massage Ritual (Php 1,800)—because I was invited to feature their newest branch in Atlanta Centre along Annapolis Street, Greenhills! 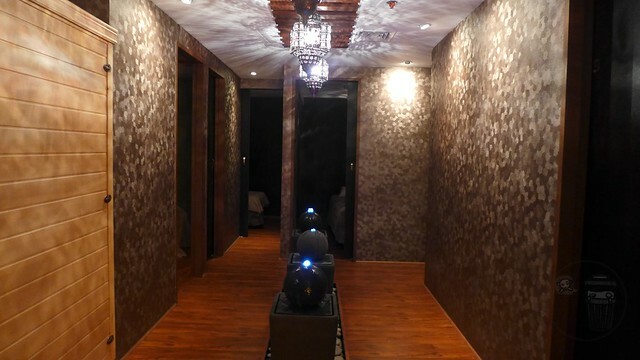 Even my mom was treated to a Mandara Signature Massage (Php 800) with a 30-minute complimentary Xiamen Foot Massage (Php 400). For those of you who are curious, Mandara is a noun derived from two words: mana and dara, which means mind and single line. It’s a sacred mountain in Hindu Mythology that served the gods by being the churning rod that mixes the ocean of milk. I first heard of this story when I visited the museum in Siem Reap, Cambodia! Getting to Atlanta Centre is really easy, especially if you’re familiar with the area. Don’t be confused when the guard directs you to a staircase at the back of the building, because this leads to the spa. The place is really dim, quiet, and relaxing. What makes their services exemplary are the therapists who all underwent training to make sure their techniques met a certain standard. My mom and I shared a room, and were provided with lockers, slippers, robes, and towels. We were there early, so it was nice to have the place to ourselves. 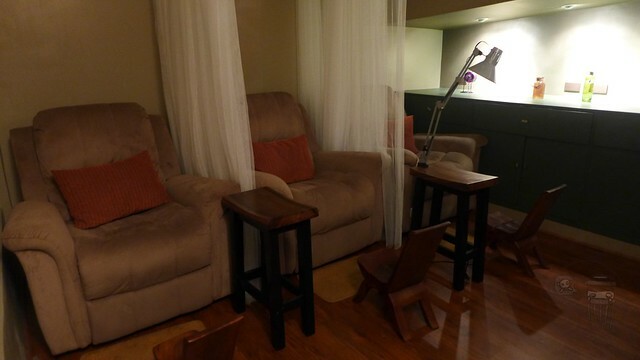 The receptionist was incredibly pleasant and attentive—she made sure we were comfortable and relaxed. 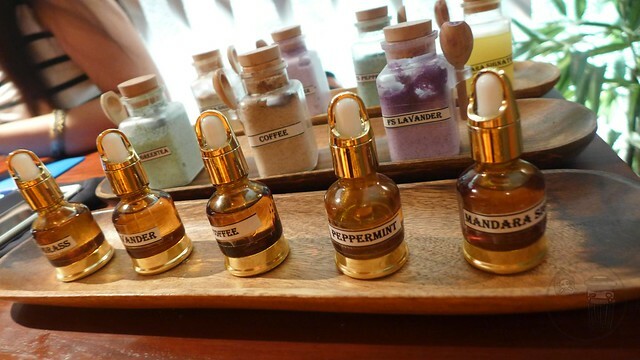 For my Body Scrub, Wrap and Massage Ritual, I got to choose which scrub and massage oil to use—so I chose lavender for the scrub and lemongrass oil for my massage. I felt the expertise of my therapist, particularly when she started massaging my shoulders and back. I get a lot of hard knots here often, because of my bad posture and stress at work. But she really concentrated on the area and was able to get rid of them. I felt so light and relieved after. Her name is Ruth, so if you book a massage at The Mandara Spa in Greenhills, I highly recommend her! Before we knew it, our massages were over. It was nice to have had that experience with my mom, because more than anyone in the family, I knew she needed to unwind the most. 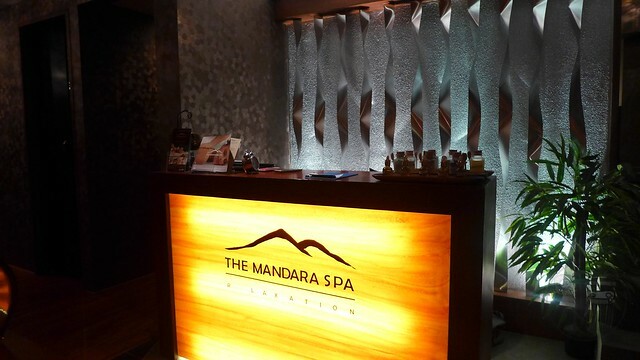 Apart from branches in BGC and Greenhills, Mandara Spa also has a branch in Camaya Coast and is open to being franchised. Visit their website here for more details.